You are at:Home»BUZZ»Can’t find a Nintendo Switch? Win one by eating at McDonalds! If you haven’t had any luck finding a Nintendo Switch – or don’t want to pay $299 (or more) for one, try your luck at winning one at McDonald’s! 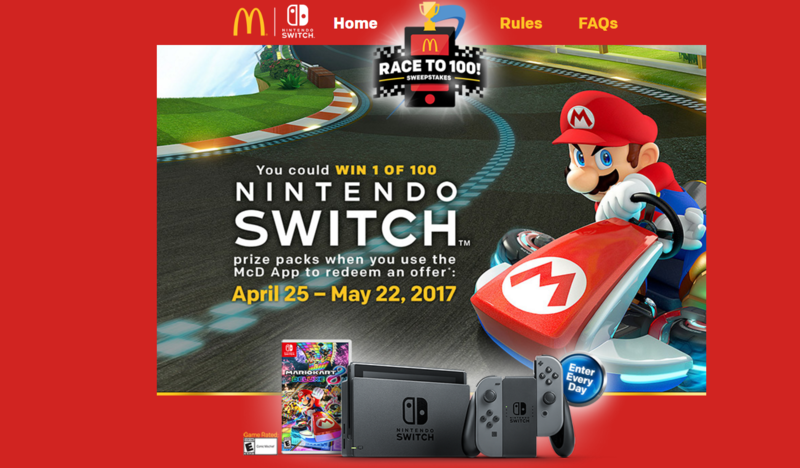 Nintendo has teamed up with McDonalds to give away 100 Nintendo Switch consoles with Mario Kart 8. To Enter: Scan and purchase any Offer in your McDonald’s App to receive 1 Entry or receive 2 Entries when you purchase a Happy Meal/Mighty Kids Meal and scan the Sweepstakes Offer in your McDonald’s App. So before you go to McDonald’s – make sure you download their official app on your smartphone! As a head’s up there are a few system requirements for the McDonald’s App! The Sweepstakes begins at 12:00:00 a.m. local time on April 25, 2017, and ends at 11:59:59 p.m. local time on May 22, 2017. Are you doing to be eating tons of Happy Meals?! 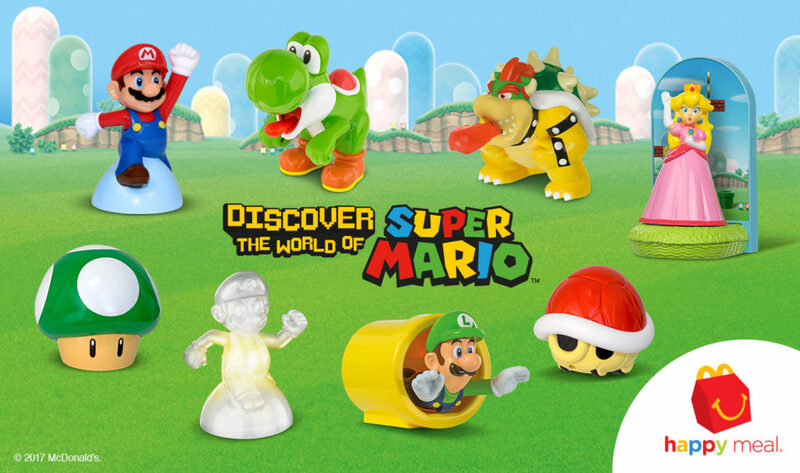 Well if you don’t win the Nintendo Switch – at least you’ll get one of eight cool Mario Kart toys!